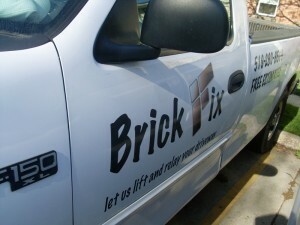 About Us | Brick Fix Inc. Brick Fix is a company dedicated to providing you with the best brick driveway, walkway, and patio you can have. We have years of experience in the industry to make sure your driveway is repaired to perfection in a timely manner. We are celebrating our 10th year in business. We learned the trade by working with our dad and his brick company all through high school. After taking business courses at the University of Western Ontario we starting thinking of ways to improve his company. Our dad ended up challenging us to start our own company and since then we have graduated from our programs and Brick Fix has grown to 6 crews servicing multiple cities. Quality service: we specialize in only bricks so we are really good at one thing rather than spreading our talents out. Timing: with our experience, expertise and multiple crews we are able to efficiently meet your deadlines in a timely manner. Cost: we aren’t the cheapest but we aren’t the most expensive, but from the sheer volume of brick we do we are able to keep costs down.